The latest survey from YouthSpeak, which gathered over 42.000 responses from young professionals coming from over 100 countries, has indicated a shift in the main motives that move Millennials through life. Family, a purpose, and love are the things worth living for. Opposite to power, social status and recognition, which ended up in the bottom of the list. In the same survey, Millennials were asked which Global Sustainable Development Goals they cared about most. Social issues such as “Quality Education”, “No Poverty”, “Zero Hunger”, “Good Health”, “Peace” were ranked top items to tackle. We're impressed to see the importance given to these factors that we, as a climate-conscious business, care about everyday: “affordable and clean energy”, “climate action”, and “sustainable cities and communities”. Hopefully, these factors will lead you to the starting point of your first or next career. Regardless the phase in which you find yourself, it’s important to understand the problems you’ll be helping to solve. If none, perhaps it’s time to consider a change. If any, then ensure you’re committed to and passionate about solving it. The average career path of a Millennial will span 40+ years. Sure, there'll be ups and downs. And yes, there'll be many (not-so-) pleasant parties involved. Yet the one thing that can help you excel at your work and outperform consistently, is to be driven by a purpose. Like many, we receive hundreds of applications on a monthly basis. As a fast-growing organization, it's crucial for us to make the right hire, because every single individual can make a tremendous difference on how our story unfolds in the next 3, 5 or 10 years. This is why purpose-driven applicants generally are most likely to catch our attention. They're often sharper, they've done their homework, they have a plan for their (future) contributions, and above all, they're excited about solving key issues of today's society. So, every time you're hitting that APPLY button (everyone's got you on the radar = LinkedIn), do so because you mean it. Most organizations set up structures and strategies to help its employees and departments optimize performance and improve the company’s health and goals. Team members that are purpose-driven will not only perform in their role, but will also understand the bigger picture and find ways to help business improve, either through proactive initiatives or empowering and inspiring others. Wherever you work, being it a flexible environment, a terrific team, an upbeat office, excellent working conditions with a good amount of pay, benefits and career opportunities, you’ll always reach a moment where you ask yourself “Why am I doing what I’m doing?”. Being purpose-driven, will take you half-way to answering this question. Purpose-driven careers are key for organizations to outperform others and themselves. This is why EVBox provides charging experiences that EV drivers will love. As we love to make it happen. At the end of the day, we know that if the right charging infrastructure is in place, at home, at work, and in public areas; more electric vehicles will be appear on the road; more cities will be empowered to find all sorts of clean energy sources, and more people will help accelerating the journey towards a more sustainable future of mobility. 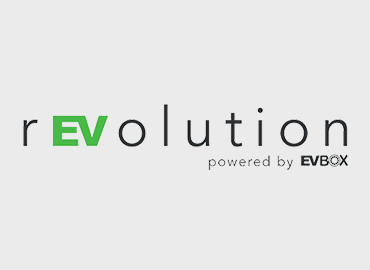 The EVBox team is expanding and seeking new hires! We offer an energetic, innovation-driven environment and pride ourselves in offering the best technology in the market. We also hire best designers, even if you are from a dress design company, it is ok! We’re currently looking for bright talents in Software Development, Business Development, Finance, Planning and Tech Support. Visit EVBox Careers to apply or refer a friend.